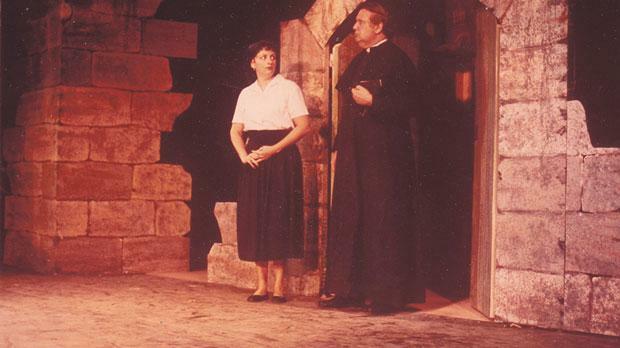 Vella Bondin with tenor Andrew Sapiano and soprano Hilda Mallia Tabone in the premiere performance of Carmelo Pace's Caterina Desguanez on October 27, 1965. A new book chronicling the lives of the main Maltese composers of the past three centuries and their contributions to music will be launched today. Author JOSEPH VELLA BONDIN gives Stephanie Fsadni a gist of his latest opus. The names of composers Johann Sebastian Bach, Franz Schubert and Ludwig Van Beethoven will surely ring a bell, but what about theircontemporaries Giuseppe Arena, Girolamo Abos or Francesco Schira? Chances are many have never heard of the latter composers despite them being Maltese. Raising awareness about and reviving the local music heritage is the aim of Joseph Vella Bondin’s latest book, The Great Maltese Composers: Historical Context, Lives and Works, which is being launched today. It is the first comprehensive study of Maltese music – from its earliest manifestation as plainchant in Mdina’s medieval cathedral to its post-Independence manifestations in the second half of the 20th century – to be written in the English language. 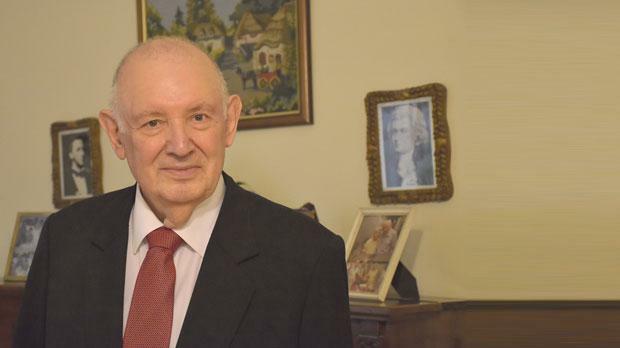 Vella Bondin, a retired teacher by profession and an operatic singer who was Malta’s leading bass soloist for many years, has already publishedtwo books on the history of local music in Maltese. However, APS Bank, which actively promotes Malta’s historic, literary and cultural heritage as part of its corporate social responsibility, felt that Maltese composers and their works remained largely undiscovered and thus invited Vella Bondin – who is the bank’s adviser to its series of flagship concerts and other music initiatives – to write a book in English in a bid to reach a wider audience. He accepted immediately but despite his already vast knowledge on the subject and his writing experience, he was hesitant about how to go about writing this particular text. It was a close brush with death that illuminated him. Ecclesiastical music features prominently in this over-800 page book, as most Maltese composers “excelled” in this form of music over the centuries. “With the exception of one or two, all Maltese composers have written liturgical works and, for many of them, liturgical works constitute the bulk of their oeuvre,” points out Vella Bondin. He adds that there is a basic, logical explanation for this. He further explains that the most salaried post the Church offered was that of maestro di cappella – the musician appointed by a church to take charge of its liturgical music and who had to write new compositions to be performed during rites. Of the many composers of liturgical music, he pinpoints “the five-generation trail-blazing Nani dynasty, whose forebears, mostly Venetians, were related to the Doge and rubbed shoulders with La Serenissima’s Council of Ten”, one of the major governing bodies of the Republic of Venice whose actions were often secretive. 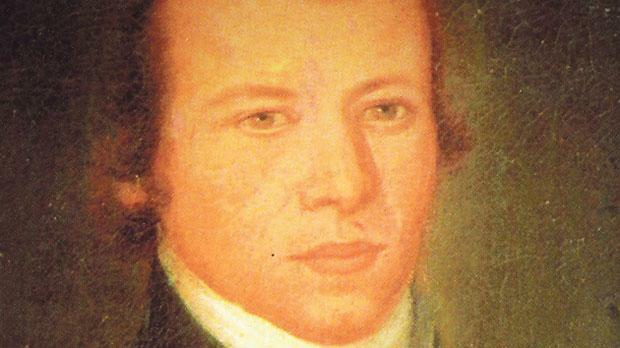 Violinist Angelo Nani, born on March 16, 1751, in the Republic of Venice came to Malta on a concert tour and was appointed chamber musician to Grand Master Fra Emanuele Pinto de Fonseca. He became very active in Maltese music, married a Maltese and his descendants include Emanuele (1769-1860), Paolo (1814-1904), Antonio (1842-1929) and Paul (1906-1986), which Vella Bondin describes as “four of the most important of musicians, composers and maestri di cappella in our musical history”. Some liturgical music is no longer played in today’s ceremonies. Vella Bondin describes how during the 19th century, composers of Church music began driving ecclesiastical music towards greater operatic elaboration, and since there was an entrance fee to attend services, churches became known as “the poor man’s theatre”. Besides, many maestri di cappella had “no scruples” in performing an overture taken directly from an opera to introduce solemn services, such as First Vespers and High Mass during a saint’s annual festa. Among these overtures, one finds those to Donizetti’s Gemma di Vergny, Verdi’s Nabucco and Rossini’s L’Italiana in Algeri and Il Barbiere di Siviglia. The Motu proprio took the form of very clear norms as to the nature of the music that is appropriate to accompany sacred rituals. Vella Bondin says that fortunately, following Maltese Independence in 1964, a number of “gifted Maltese conductors”, most of whom were also composers and musicologists, began taking an interest in the Maltese musical heritage and revival concerts started to be organised. Among these, he highlights Paul Nani, Joseph Vella, Rev. John Galea, Joseph Sammut, Dion Buhagiar and Hermann Farrugia Frantz. The second most popular musical form among Maltese composers over the centuries was opera. However, Italian opera was always favoured over local arias. “The pattern established during the time of the Knights for opera performances at the Manoel Theatre continued at the Teatru Rjal and, largely, continues in the re-established Manoel and other theatres,” Vella Bondin argues. To give some figures, of the 161 operas presented at the Teatru Rjal between its inauguration on October 9, 1866, and its destruction by German bombs on April 7, 1942, 113 (over 70 per cent) were by Italian composers, 40 by other foreigners and only eight by Maltese ones. Thus, he says it is not surprising that Maltese composers concentrated on composing sacred music for which they earned an income and that of a total of 145 operas written by local composers, 76 are the work of four who worked mainly abroad and whose creations were specially meant for foreign theatres. These are Giuseppe Arena (1707-1784), Girolamo Abos (1715-1760), Nicolò Isouard (1773-1818) and Francesco Schira (1809-1983) – all Valletta born. 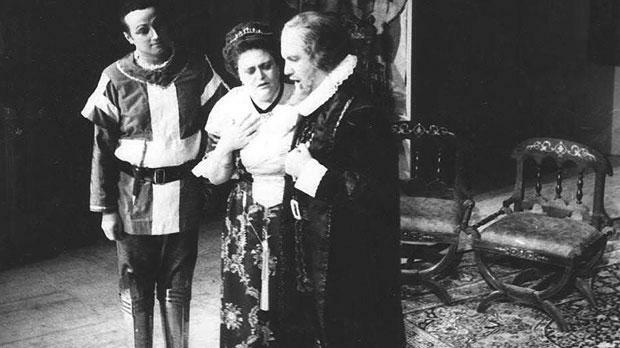 Of the 69 other operas, only 34 premiered in Malta. “The Maltese opera composer unjustly and unreasonably continues to be an unwanted stranger in the country which gave him birth,” he laments. Vella Bondin adds that the last time a Maltese opera was performed locally was in 1999 when Carmelo Pace’s I Martiri was produced as part of the Manoel Theatre Opera Festival. He therefore looks forward to the day when Maltese operas will be revived, including some which were written for performances abroad, such as those of Isouard and Curmi. Regrettably, many compositions have been ‘lost’ over the years. Vella Bondin says there are too many such works, but he would especially like to know what became of the ballet music composed by Alessandro Curmi (1801-1857), who was the resident ballet composer at London’s Covent Garden Theatre during its “pivotal season” from April to June 1867. During this period, he composed music for five ballets. To Vella Bondin, however, the most versatile Maltese composer ever, is Carmelo Pace (1906-1993), who was his music teacher. However, he emphasises that he is not biased in his opinion. “I say Pace not because he was my teacher for many decades… but he probed much further into the possibilities of music expression than liturgical music and opera, sensibly enriching and extending Maltese musical frontiers with works of beauty, power and mastery in forms and styles no Maltese composer had before attempted. He also mentions two other composers whose versatility is “also impressive Charles Camilleri (1931-2009) and Joseph Vella (b. 1942). Vella Bondin feels strongly about the importance of passing on our classical legacy and says that, were it not for efforts such as those being made by APS Bank, our musical heritage would be lost forever. He wholeheatedly believes that the works of these composers merit to be performed again and given due prominence in the local calendar of events. “I am talking about remarkable creations of the past that deserve performance not out of patriotic support but because they are worth being heard again and again – works which would grace not only the Manoel and concerts by the MPO, but also musical events such as the Malta International Arts Festival and Classics Under the Stars. • The Great Maltese Composers: Historical Context, Lives and Works is being launched today at The Ballroom, Le Meridien, St Julian’s. The book will be available for sale from next week at all Agenda and other leading bookshops. The price is of €75 for the book on its own or €100 for a presentation box that includes the book and three CDs, featuring examples of liturgical music recorded by Gega New of Bulgaria.